Want a good scare? Try reading about severed heads that blink, killer viruses that eat their human host, and real-life werewolves (just for starters)! Scared yet? That's okay - feeling scared is natural and useful. Want to know more about these and other fears? Pick up this one-of-a-kind book, an illustrated investigation into all the stuff that's frightened us out of our wits for centuries and the gruesome, gory, gut-churning science behind it. What makes our skin crawl and our spines tingle? Why do we shiver? Why do scary movies make us scream? Uncover the truth behind such scaremongers as King Kong, UFOs, vampires, mummies, ghosts, haunted houses, and many more. First-person and historical accounts and expert scientific opinions make this the ideal book for both skeptics and believers - and anyone who loves a good old-fashioned scare. The comic-book style panels and bite-sized freaky facts mean that you can gorge on or just nibble little bits of scary stuff. About Stephen James O'Meara (Author) : Stephen James O'Meara is credited in children's books. A published credit of Stephen James O'Meara is Stargazing with Jack Horkheimer: Cosmic Comics for the Sky Watcher. About Jeremy Kaposy (Illustrator) : Jeremy Kaposy is a published illustrator of children's books. 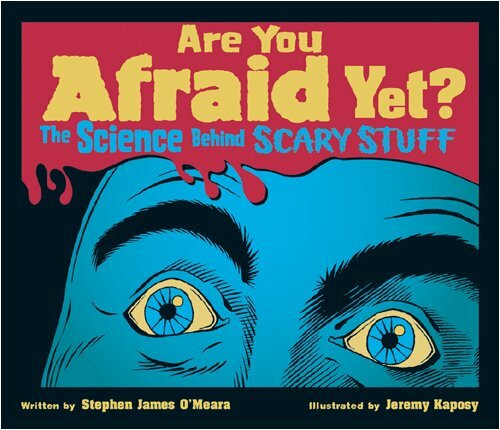 Published credits of Jeremy Kaposy include Are You Afraid Yet? : The Science Behind Scary Stuff.